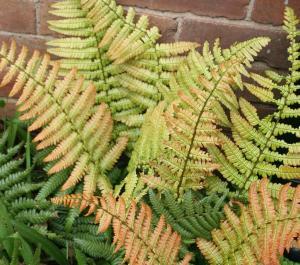 Buy Hardy Garden Ferns Direct from PlantsToPlant. 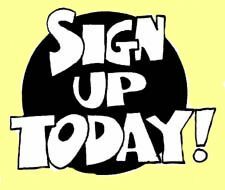 Plants online direct from the nursery. 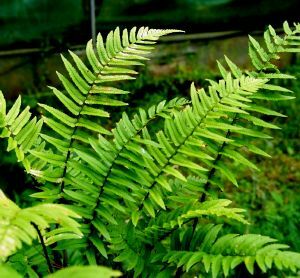 A fern is any one of a group of about 12,000 species of plants belonging to the botanical group known as Pteridophyta. Unlike mosses, they have xylem and phloem (making them vascular plants). They have stems, leaves, and shoots like other vascular plants, but ferns reproduce via spores and have neither seeds nor flowers. 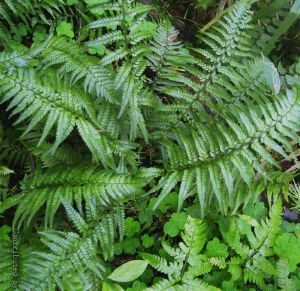 Ferns first appear in the fossil record 360 million years ago in the Carboniferous period but many of the current families and species did not appear until roughly 145 million years ago in the early Cretaceous period (after flowering plants came to dominate many environments). Ferns are not of major economic importance, but some are grown or gathered for food, grown as ornamental plants, for remediating contaminated soils, and have been the subject of research for their ability to remove some chemical pollutants from the air. Some are significant weeds, such as bracken. 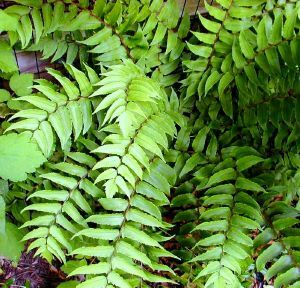 Ferns also play a role in mythology, medicine, and art, but most importantly for us they are highly ornamental and useful in the garden to bring shape and form, especially to shadier areas of the garden. 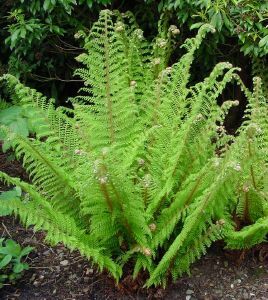 By Hardy Fern we simply mean to imply that it will be hardy throughout most of the British Isles, at least in gardens. One of the ‘Holly Leaved Ferns’ which has a much broader leaved but symmetrical appearance and is evergreen with pale silvery green foliage. A beautiful fern with arching fronds composed of lance-shaped segments along the frond stems. Perfect for a shady spot in a border, container or rock garden. A Jurassic tongue twister of a name, but this unusual form of our native ‘Male Fern’ has the most filigree fronds of just about any fern. Plants are clumping in habit, the fronds are long and arching but very delicate and skeletal in appearance, despite the large size. Well suited to use in any moist, shady situation. Also useful intubs or mixed containers, combining beautifully with bolder-leaved plants, such as Hostas or Hellebores. Deciduous in habit, remove old fronds in late autumn or spring. The beautiful ‘Soft Shield Fern’ with its very fine lace foliage it was a favourite in Victorian times. 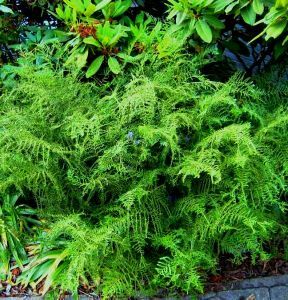 The distinctive shaggy, moss texture and neat habit of growth sets this variety of soft shield fern apart. Young plants have a shuttlecock shape but, as clumps build up, the shapes overlap so the impression is more of a mossy mound. This is a superb textural plant that contrasts well with glossy, hardy ferns such as Asplenium scolopendrium, and other striking shapes such as Solomon's seal and Hostas. Plants are surprisingly drought-tolerant, although they dislike direct sun. A Japanese species with evergreen deep green fronds. ‘Holly Ferns’ are one of the hardiest ferns around and are ideal for evergreen colour in shady spots in the garden. This particular species is neat and low growing,and has pale green fronds with dark veins and stems. The leaves acquire a silvery sheen as they age, but this simply adds to the plant's interest.